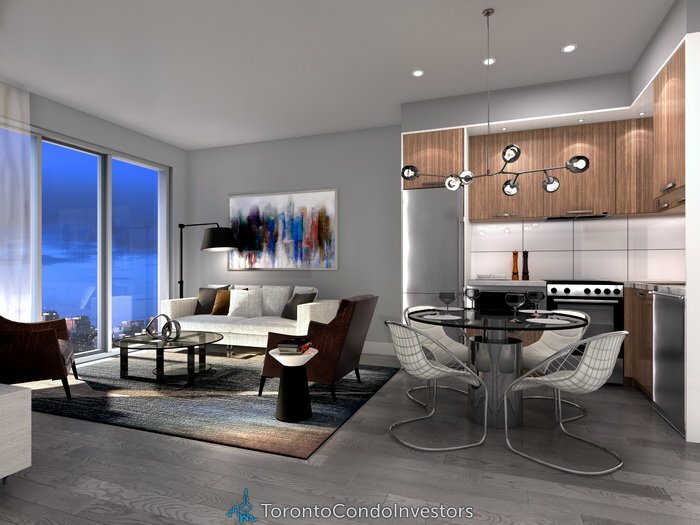 Deposit:$5,000 with agreement, Balance of 5% in 30 days, 5% in 180 days, 5% in 370 days, 5% in 540 days and $2,500 on occupancy. 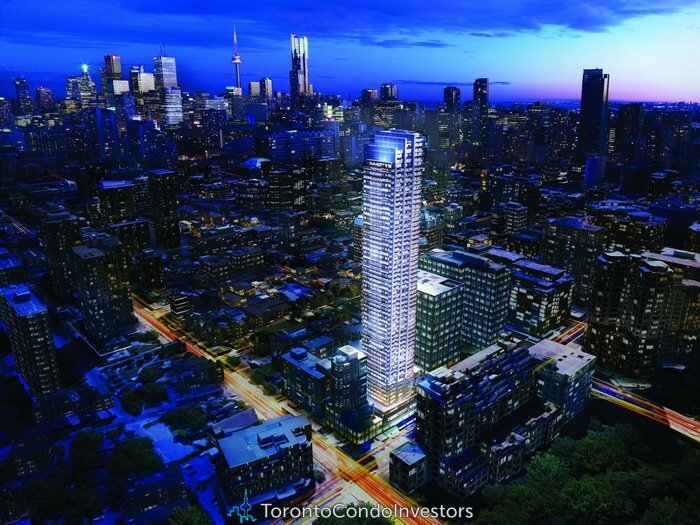 Rosedale on Bloor Condos is a 52 storey building with approximately 476 residential suites located on floors 11 and up. 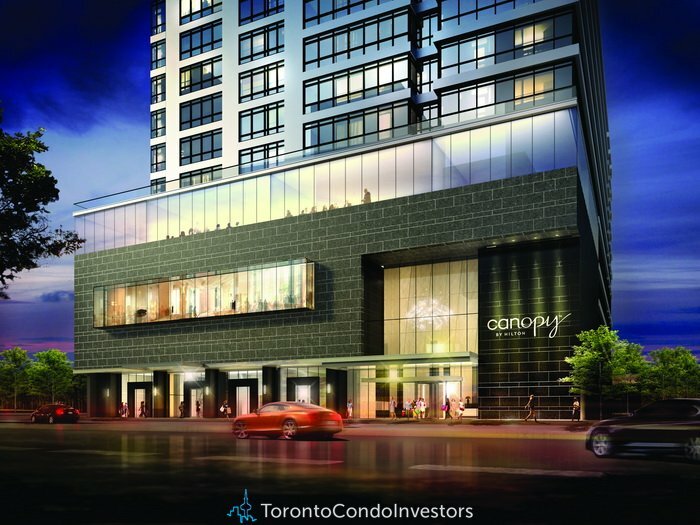 Residents of the Rosedale will enjoy the enviable perks of living adjoined to one of Toronto’s newest hotels, Canopy, a 4-star hotel by Hilton. Designed by Page + Steele/IBI Group with interiors by Studio Munge. 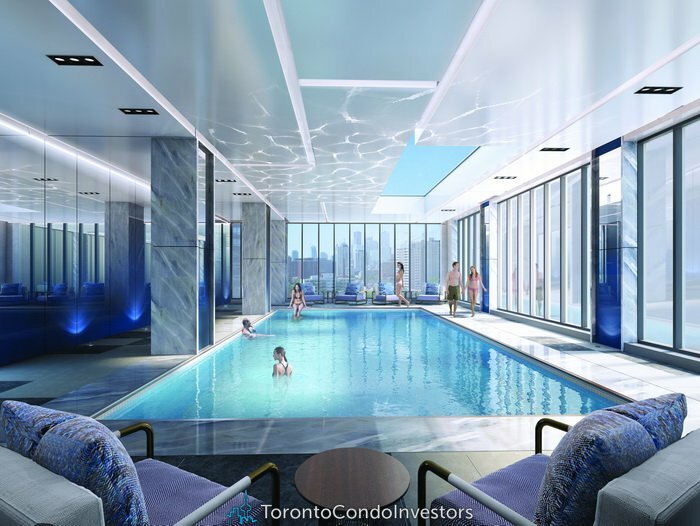 Residents will enjoy amenities including an indoor pool, a rooftop terrace, a party room with kitchen and dining room/lounge, theatre room, fitness center, yoga/stretching room, business center/lounge, meeting room, a grand lobby. 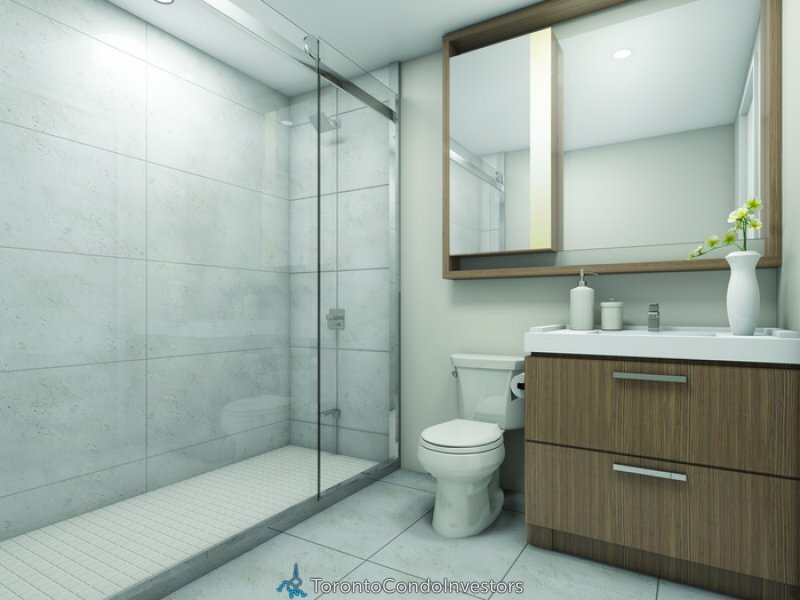 The concierge will be available 24/7 for residents.